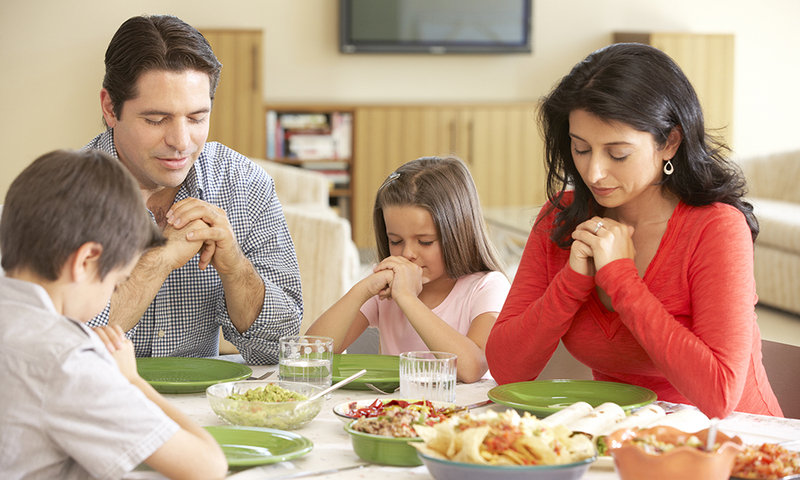 What are the origins of the prayer for grace at meals? Comments Off on What are the origins of the prayer for grace at meals? There is no prayer for grace at meals that Catholics must precisely say. One is free to speak in other words of blessing and gratitude. However, there is a value in using memorized and widely known prayers so that others can join in the recitation. For this reason, Catholic rituals often set forth forms of prayers to facilitate communal prayer and to serve as models. Interestingly, what most Catholics call “saying grace” is actually a prayer of blessing: “Bless us or Lord and these, thy gifts…” But the word “grace” comes from the Latin gratia, meaning thanks or gratitude for a grace received. Thus “saying grace” more properly refers to the prayer at the end of the meal which usually begins, “We give you thanks almighty God for these and all your benefits, who live and reign…” The tradition of saying a true “grace” at the end of the meal is less common among Catholics today. The expression “say grace” refers generally to any prayer said before a meal. As for the origin of the prayer, it is not clear. It is listed in the Roman Ritual but without attribution. In the Roman Ritual, the familiar portion, “Bless us O Lord…” is part of a longer rite that most surely emerged in a monastic setting. Msgr. Charles E. Pope is a pastor in the Archdiocese of Washington, D.C.
What is the Origin of the St. Michael Prayer? Why are there Different Versions of the 'Glory Be'?